Ramil, Domnick and Anita in front of their home in the Philippines. Ramil wakes up at 4:30 every morning and ventures out on the sea to catch fish. Twice a day he heads out on the waters surrounding the Philippines for one reason: to support his family. The father of seven children, including 10-year-old Romnick who is sponsored through Unbound, Ramil sees his job as a fisherman as the best way to provide for his family. After his first round of fishing for the day, his wife, Anita, sells the fish in the market while Ramil goes back out to bring in another catch. Ramil has been doing this for 20 years. Although he once dreamed of owning his own bakery after learning how to bake in the capital, Ramil chose fishing because it provides a steady income for his family. Anita works hard, as well, and is proud of Ramil for being a responsible father. 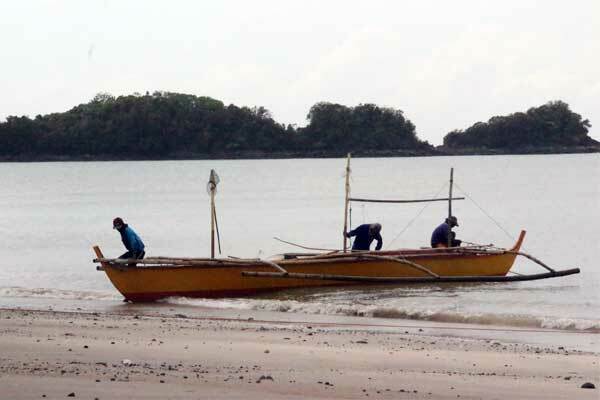 Ramil goes out each day with other fishermen to support his family. Although it is a steady job, fishing does have its ups and downs. During the typhoon season, which is typically from June through November, there might be times when fishermen cannot work for several days. “You might have no income … because the wave is too high and it will not be safe for us to venture [out to] the sea,” Ramil said. During these times, the family sometimes needs additional support. The local government provides assistance such as rice and canned goods in times of inclement weather. Unbound also provides support to families after disasters, from checking on the safety of families to helping them rebuild homes when needed. The whole family offers thanks to Unbound and Romnick’s sponsor, David from Texas. 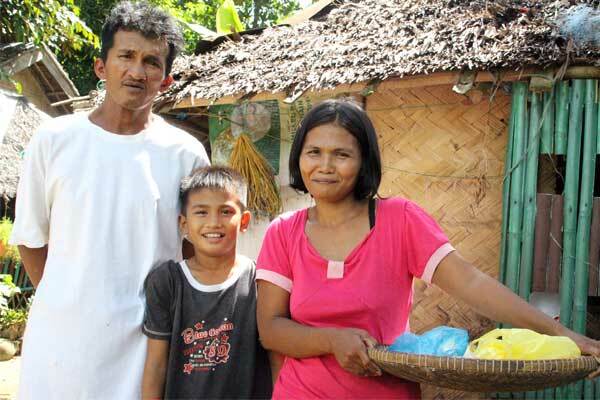 Ramil continues to work hard as a fisherman so that his family can succeed. Romnick hopes to one day become a policeman. Ramil dreams this his son can achieve this, and dreams that all his children will one day all have professional jobs and happy families. Support the dreams of a family through sponsorship. God Bless Romnick and his family. Love, David and his family from Texas.